The Fifth Monarchy Men or the Fifth Monarchists were a quasi-political religious movement which was prominent from 1649-61. It was based on a strong millennium message, they hoped to reform Parliament and the government for the imminent coming of Christ's' Kingdom on Earth. The movement was prominent throughout the Commonwealth and was organized. After their conversion of England, the new English Fifth Monarchist army of saints would march on Europe, and would eventually convert the whole world with the spirit of Jesus Christ. The "Fifth Monarchy" or the "Fifth Kingdom" is a biblical reference. The reference is based on the Old Testament text (Daniel 2: 44) of a prophecy in a dream by King Nebuchadnezzar. He envisioned five kingdoms in history, and the last, or Fifth Kingdom would usher in a new kingdom on earth. Millenarianism was a popular message of the Interregnum period (1649-1660). "The godly being in league with God" (1626) wrote Thomas Gataker. Works such as Henry Archer's: The Personal Reign of Christ upon Earth (1642) became a popular work on the Millennium during the period. It foretold of the conversion of the Jews (1650), the destruction of the Turks, and the second coming of Christ (1700). The Civil War was seen as a metaphor of the new religious fervor. The execution of King Charles I in January 1649 became a sign from God ushering in His New Kingdom to many of the faithful. The Fifth Monarchy Men were a radical religious movement that used both social and political pressure to affect their message and vision of a new religious "Golden Age". They represented a diverse collection of various religious and political views. They hoped to replace the Long Parliament (1640-48) and its replacement the Rump Parliament (1648-53) with another "church-parliament" favorable to their views. The Fifth Monarchists movement represented a broad group of interests. The membership might be divided into two general groups. One group saw the conversion of a corrupt English society into a new religious community of the saints was only possible through the power of prayer, and by setting an example for others to follow, i.e. being in society but not being of the society. Another group argued for change through political action and through the force of arms. Members of both of these groups tended to hold moderate views in their early days. The early beginnings of the Fifth Monarchists movement may date from the Norwich area in 1649. Both Independents and Baptist laymen and ministers had joined the New Model Army during the Civil War and many rose to positions of trust and influence in their respective regiments. Many of these individuals in turn influenced others with their millennium message which fed into the general Fifth Monarchist message. Many of these individuals came from General and Particular Baptists congregations. 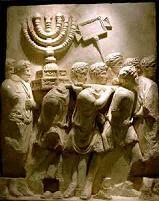 Among these were the so-called Seventh-Day Men, or Sabbatarians who worshiped on Saturday following the Jewish traditions. Between 1650-1660 there were strong religious and political ties of support between these various groups against the Cromwell government. Some of the more prominent Fifth Monarchy Men were London preachers including: Christopher Feake (1612-1683?) of Christ Church (Newgate) ca. 1649; John Rogers (1627-1665?) from Dublin ca. 1652; John Canne (1590?-1667?) of the Robert Overton Regiment at Hull; John Simpson (d. 1662), and Vavasor Powell (1617-1670). These men preached on the coming of Christ with specific reference to the Book of Daniel, Chapter 7. Not all of these preachers may have held the same interpretations of the text of the Book of Daniel. Common themes included: 1) prepare for the Second Kingdom, 2) reform the government for Christ's rule, 3) greed and power would be replaced with brotherly love, 4) tithes and taxes should cease, 5) more care to be given for the poor, 6) the release of debtors from prison, 7) pay the back salaries due the New Model Army. The Fifth Monarchists were early supporters of Oliver Cromwell, "God's Instrument" against the Royalists and pro-Presbyterian members in the Long Parliament. They had hoped that Cromwell would support their holy mission to change this corrupted society into a new Saintly kingdom on Earth anticipating the return of Jesus Christ. The Fifth Monarchists cause found support with a number of groups including the New Model Army and the Leveller movement. The New Model Army uprisings of 1649 were crushed in Oxfordshire, and they were eventually paid their back salaries. The Leveller movement was dealt a heavy blow when their leaders were arrested and jailed in 1649. The Fifth Monarch Men were one of the few remaining major organized movements to oppose Cromwell's government after 1650. The Fifth Monarchy Men were able to influence the election of a number of the 150 delegates to the Barebone's Parliament (July-December 1653) which had been called by Cromwell to fill the void left by the Rump Parliament which Cromwell had dissolved earlier in 1653. Concerned by certain proposed liberal policy reforms presented at the Barebone's Parliament, the more conservative supporters of Cromwell dissolved the Parliament rather abruptly in December 1653. The closing of the Barebone's Parliament caused a major outcry of anger from the other duly elected members of the Parliament and their supporters which included the Fifth Monarchy Men and others. Their cries of protest fell on the deaf ears of the Cromwellian government for redress according to Cromwell's critiques. Within the month, The Instrument of Government (16 Dec. 1653) had established a new English constitution. Oliver Cromwell was appointed as the new Lord Protector, he was not elected. This angered both the Fifth Monarchists' and others groups still seeking more personal and religious freedom promised during the Civil War. Cromwell's political inability and or his lack of conviction to institute various personal changes within the new government angered many of his former supporters. Cromwell seemed to have betrayed them in their eyes for his own personal political ambitions from his critiques. Some even commented that they had only replaced one old yoke with a new one. General Thomas Harrison (1610-1660) was an interesting man who rose from obscurity to a national war hero. He came from a good family in Newcastle-under-Lyme; his father had been its mayor, four times. He studied law in London until the outbreak of the Civil War. He joined up and advanced in rank as a cavalry officer. He fought well at Naseby and Langport with the New Model Army, and was respected in the ranks. He was elected MP for Wendover, Bucks. (1646), but sailed for Ireland to fight the next year. He was at Putney in October 1647. He was the Commander of Forces in Wales (1649) and Commander of Forces in England (1650). Harrison had been a good friend of Cromwell, and a comrade in arms. Harrison was elected a delegate to the Barebone's Parliament (1653). He was a religious man, and began to object to policies of Oliver Cromwell and his government on religious grounds since the demise of the Rump Parliament (1653). The questionable actions of the members of the Barebone Parliament (1653) had an impact, and the sudden elevation of Oliver Cromwell as the new "Lord Protector" had only helped to increase his own objections of his old friend, and his government. Harrison became a leading spokesman for the Fifth Monarchy Men and their movement. Harrison was well respected as a national military hero. He was a good speaker able to rally support for the Fifth Monarchists and their anti-Cromwellian government message from Wales to London. The Fifth Monarchists had strong support in London, East Anglia, and Wales. Under the Protectorate (1653-60), Harrison was stripped of his Army commission. Cromwell was instrumental in having Harrison sent to prison twice on what were questionable charges of subversion against the government. Harrison was later executed by the Loyalists at the Restoration (1660) as a consequence of having been a signer of the original death warrant of King Charles in 1649, a fate which Oliver Cromwell escaped. There were various radical militant elements in the Fifth Monarch Men movement, probably the best known and maybe the most radical were the Vennerites named after their leader, Thomas Venner (1608?-1661). Venner was a cooper by trade, and a popular lay preacher with a large active congregation in Swan Alley off Coleman Street, London from 1655-1661. Venner was born in Littleham, Devon. In 1633. he was working as a cooper in London, and was associated with Praisegod Barebone (Barbon, or Barbone) and Stephen More. In 1637, Venner immigrated to New England and raised a family. He is known to have resided in Salem, Mass, and later in Boston. He held a number of jobs and positions some of them more legal than others, according to critics. He returned to England during late 1651 a few steps ahead of the Boston police according to some accounts. After returning to London, Venner became familiar with the Fifth Monarchy Men. In 1655, Venner worked as a cooper at the Tower of London, he was arrested and gaoled on suspicion of trying to blow it up. By 1656, he was the minister to a growing London congregation with Fifth Monarchist leanings in Swan Alley, off of Coleman Street. During 1656/57, Venner and members of his congregation were making plans to overthrow the Cromwell government. Many of the Fifth Monarchy Men leaders including General Thomas Harrison were opposed to Venner's plan, and argued against it. The plan included the distribution of a work: A Standard Set Up written by Venner's son-in-law outlining their aims. The objective was to overthrow the government, and establish a theocracy. But before the plan could be put into action many individual were arrested by the government but not put on trial. Venner and two of his associates were confined in the Tower of London on Cromwell's order until 1659. Additional attempts continued to be made on Cromwell life by other Fifth Monarchy Men. The government made regular raids on suspected Fifth Monarchy Men congregations, and others looking for arms caches, weapons, and horses sometimes with success. This did not deter the more militant members who found financial supporters willing to supply arms. The last years of Oliver Cromwell's reign he often exercised his ire towards those he could not control. With the death of Oliver Cromwell (1599-1658), the Lord Protectorship was passed to his son Richard Cromwell (1626-1712) who occupied the office of Lord Protector which he did not seek. It was lackluster reign lacking the personal verve of his father which was short lived. Richard Cromwell was replaced by a new Rump Parliament. They too did not supply the necessary security or stability sought by the power brokers, or address the fear of radical unrest in society. Overtures were undertaken to initiate negotiations with the House of Stuart. With the reconciliation efforts of General Monck, and the wealthy power brokers with others, they brokered a dialogue with King Charles II of Scotland. The Protectorate after Oliver Cromwell failed to live up to its potential. The political and social unrest drove the power brokers to seek a more stable political and social institution which became the monarchy, and the House of Stuart. This would not be a return to the old policies of King Charles I. The Revolution and the Protectorate established a major new relationship between the State, the Parliament and the Crown. The Civil War had changed the course of English history for better or worse. The new government reforms began to slowly take hold throughout the country and in London. Those individuals that participated in the Civil War and had sacrificed for and anticipated a new and better English civil society, many of them felt betrayed by the return to the monarchy and a to Church of England with its possible popish leanings. With the reinstatement of King Charles II underway, one of the first things done by the new government was to find, and to arrest all of the available signers of the Death Warrant of Charles I. Major-General Thomas Harrison (1616-1660) a latter major leader of the Fifth Monarchy Men was one of the signers. Harrison's torture and execution on 13 October 1660 raised the ire of many Englishmen including Thomas Venner and his follow supporters against the "questionable" new government. After the cruel death of Harrison, and the growing fear of a return of the old order of Church and State, and a new popish Church of England, Venner decided his last best hope of taking over the new fledgling government was at hand. Thomas Venner (d. 1661) and some fifty rebels had plotted to overthrow the new fledgling government of King Charles II in London by the force of arms. This was a very desperate effort to seize the seat of government before the coronation of Charles II. The work: A Doore of Hope (1661) addressed to Parliament stated their fears of a new monarchy, the return of bishops, and the revival of popery in the Church of England. What is known as Venner's Rising happened on 1-4 January 1661. Venner with his Fifth Monarchy Men, and other supporters attacked the centers of power in and about Greater London under the cry "King Jesus and the heads upon the gates". The rebels initially instilled fear, unrest and killed some individuals. The influx of professional soldiers brought the uprising to a quick end. Many rebels were killed, some were captured by military units, or even escaped. The wounded Veneer and the other rebel leaders were tried and executed on 19 Jan. 1661. Venner was hanged, drawn and quartered outside of his own congregation doors. Venner represented a radical minority position of the larger movement. Some one hundred Fifth Monarchy Men, and many Quakers supporters were arrested and imprisoned by the new government. Many of these "rebels" were not necessarily active in the actual rising itself, but were labeled as potential radicals elements for comments against the new government. Venner's Rising did not end the Fifth Monarchist presence in England. Many of their congregations across the country continued unabated after the Restoration (1660) into the 18th Century. Charles II and his government kept a careful eye on these congregations, and its leadership. Many of the suspected "radical" Fifth Monarchist leaders were imprisoned by the Crown, and served long sentences in prison. Many of radical leadership would find refuge in Europe, and the government kept them under surveillance too. Some radical elements of the Vennerites continued their efforts against the government in varying amounts of success. John James (d. 1661) came from a poor family with little formal education. He did manual labor until his health declined. He became interested in religion, and had some disagreements with the Quakers. He was an itinerate London preacher with millenniumist and Fifth Monarchy leanings. On 19 October 1661, James was arrested in Bulstake Alley (Whitechapel). James was arrested with his congregation on charges of high treason against the new King Charles II. At trial he denied the charges, but did admit that he should have supported Venner and his uprising which he had the chance to do it over. James was convicted for his support of Venner after the fact. On 26 November, he was hanged, disemboweled and quartered at Tyburn. His head may have been placed on a spike outside of his congregation. There was little evidence to support the Crown's changes against James (d. 1661). He may have been used as an example against other Fifth Monarchy Men,, or simply fell victim to the fears of the local authorities. James would not be the last martyr under the reign King Charles II. Fifth Monarchy Men congregations would continue in England, Wales into the 18th century. The Crown would still keep a eye dissidents. Many who fled England would continue their intrigues and plots against the Crown. The Fifth Monarch Men were a radical millennium movement of the Interregnum. They voiced many of the concerns for a new society based on religious equality and the rejection of the corruption on Man. They called for legal and land reform changes in the very structure of society. They fell victims to the Establishment, the status quo and their own radical minority message of Venner's Rising (1661).